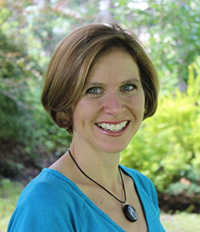 Dr. Heather Pady holds an honours Bachelor of Science degree in Human Physiology from the University of Western Ontario and a Doctor of Chiropractic from the Canadian Memorial Chiropractic College. Heather moved to Orangeville in 2001 to start her chiropractic practice at Village Chiropractic with Dr. Gillies. She is proud of the reputation they, along with Dr. Stainsby, have built within the community for providing quality, patient-centred care. Active Release Techniques has been a great part of her practice, allowing her to work on soft tissue injuries in addition to spinal care. It is also a great complement to an adjustment. Dr. Pady has been certified in ART since 2000 and was an assistant instructor for a number of years. Her primary chiropractic technique is Activator Methods which is a low-force adjusting technique that is very effective and comfortable too. She has been advance proficiency rated in that technique since 2002. Heather also uses Diversified, or manual adjusting techniques when needed and has taken courses in Graston and Functional Movement Analysis. Heather feels fortunate that she became a chiropractor and can help people feel better and lead more active lives every day. Her two children are active members of the Orangeville Otters Swim Team and her husband has been an elite Ironman Athlete and now ultra marathon runner. For the last few years Heather has competed at Xterra, or “off-road” triathlon and won silver medals as an age-group athlete at the World Xterra Championships.